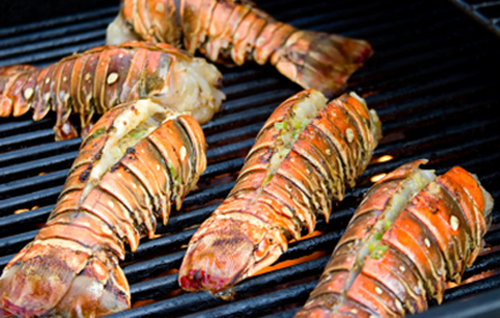 Lobster season runs from June 15th to February 15th and the start of the season sees celebrations running in the main coastal hubs from Ambergris Caye in the north to Placencia in the south. Whilst the general theme in Caye Caulker is a massive weekend street party (including our favourite ‘slippery pole’ contest, where teams of 4 attempt to climb a 20 foot greased pole), the culinary anti is being upped on Ambergris Caye, where various restaurants host themed evenings, demonstrating their creativity in coming up with the most impressive lobster based menus over a week long schedule of events. The finale of the week on Ambergris Caye is held on the Saturday in Central Park, where almost every restaurant and bar hosts a booth showcasing their lobster creations and inventive accompanying cocktails, from gourmet to the avant guarde. Lobster ice cream anyone? Or is lobster ravioli with saffron pasta, fresh grilled vegetables, lobster tail and fresh coconut more your pace? Live music, poker tournaments and plenty of dancing are also on the menu making it one not to be missed.